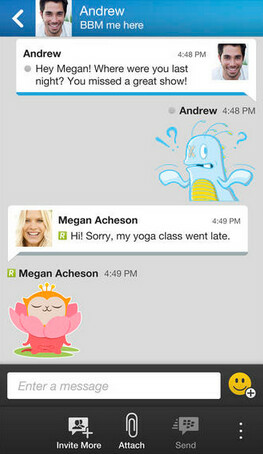 BBM has been updated to version 2.2.0.19 for iOS users. The update is available in the App Store. The changelist includes an improved simple sign-in screen for new BBM users, while existing users get a brand new sign-in screen. The update also makes it easier to add contacts through the use of email. The updates tab has been renamed "feeds," and most importantly, 16 new emoticons have been added. And yes, the usual bug fixes and performance enhancements have been added. The app remains free, and at 51.7MB, it is no lightweight. 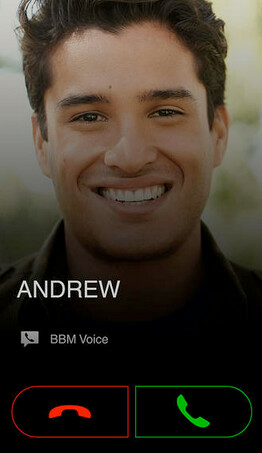 BBM requires that the user have a device running iOS 6 or higher. BlackBerry CEO John Chen is doing every thing he can to boost the number of members to the messaging app, as the executive tries to buff up the value of BBM so that it could fetch a decent price if need be. In the wake of Facebook's $19 billion bid for WhatsApp, Chen jokingly said that he would be a seller of BBM at that price. But there was a serious side to that comment as the executive has been dressing up and monetizing BBM in preparation for a sale or spin-off of the service. 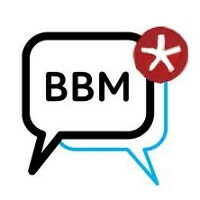 And just in case BlackBerry owners feel left out with all of this focus on iOS and Android, a special release of BBM is said to be coming to those using BlackBerry 10 and earlier versions of the OS. Good job BlackBerry! Guess the extra weight is because of the new sticker packs that are coming with the app. BBM is actually a really really good IM. I prefer it over Whatsapp any day. You should try it sometime before you call it garbage.